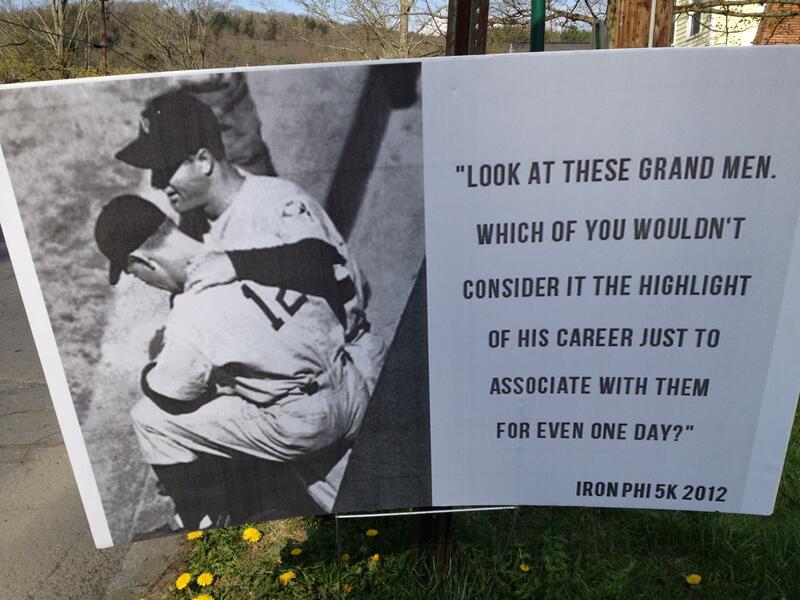 For baseball fans, Cooperstown, New York is a little slice of heaven on earth. 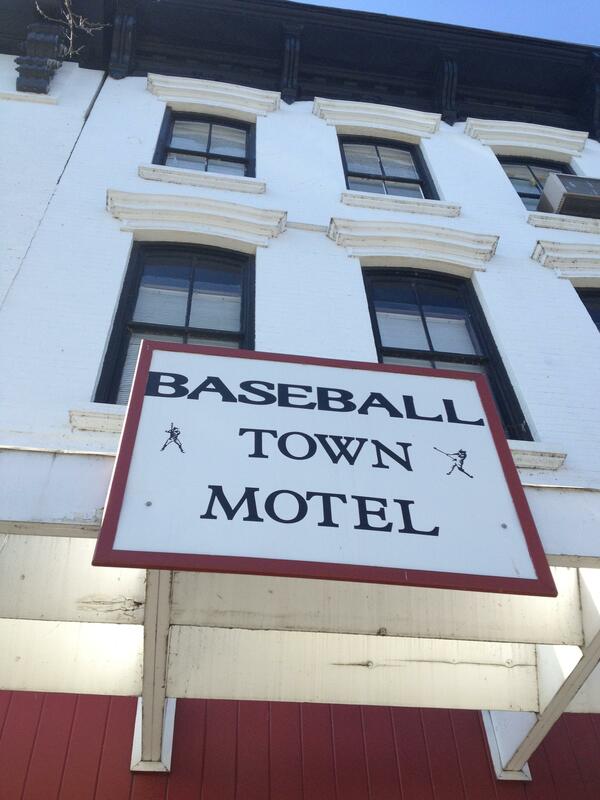 If you consider yourself a baseball fan, a pilgrimage to its birthplace should be on your bucket list of activities to complete during your life. You will not be disappointed. 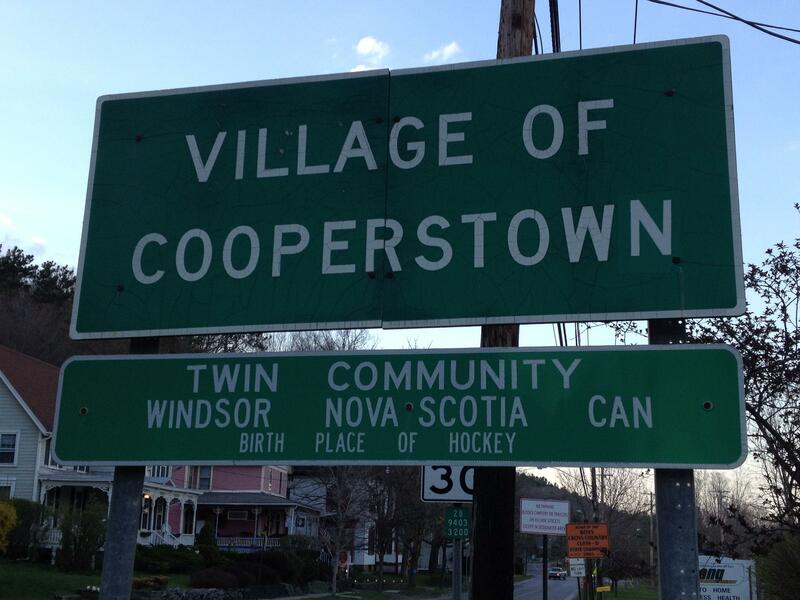 Nestled amongst hills, lakes, farms and beautiful countryside, this Village of 1,800 people is nearly perfect. I flew into Albany, New York where my colleague Sean Wagner picked me up. We went downtown for a little grub until Chris Lapple arrived at the airport. 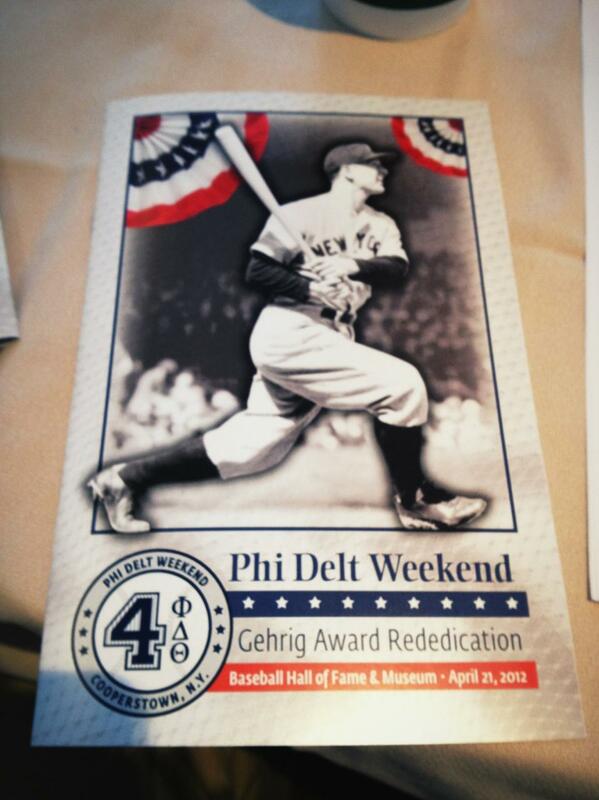 The reason that we were in Cooperstown was for Phi Delta Theta’s re-dedication of the Lou Gehrig Memorial Award. 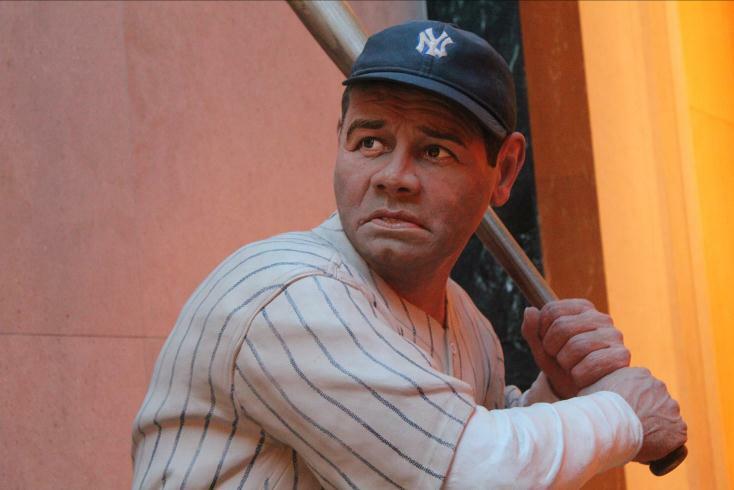 The award is special to our organization as it is lives in the Hall of Fame and is given to a Major League Baseball player each year who embodies the spirit of Lou Gehrig both on and off the field. 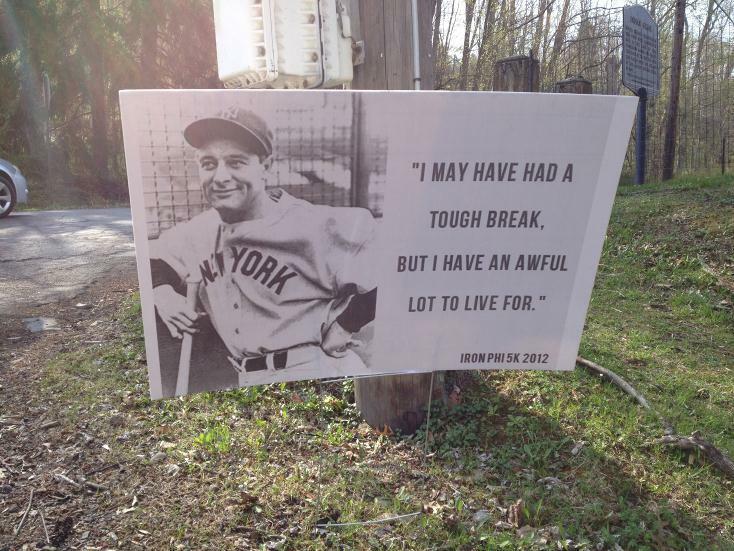 Lou Gehrig was a member of our organization. Speaking of Gehrig, Sean filled me in that we had precious cargo in the car. 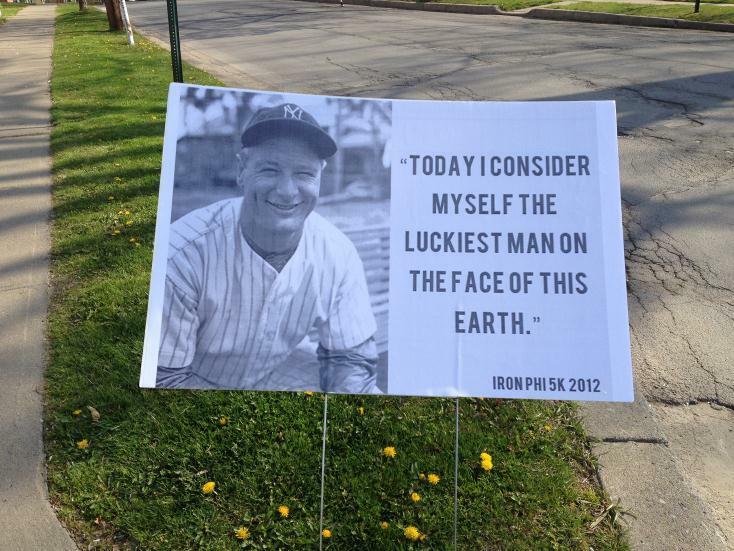 He unveiled the Bond of Phi Delta Theta (a document that we Phi Delts all sign) that Lou Gehrig had signed upon initiation at Columbia University. 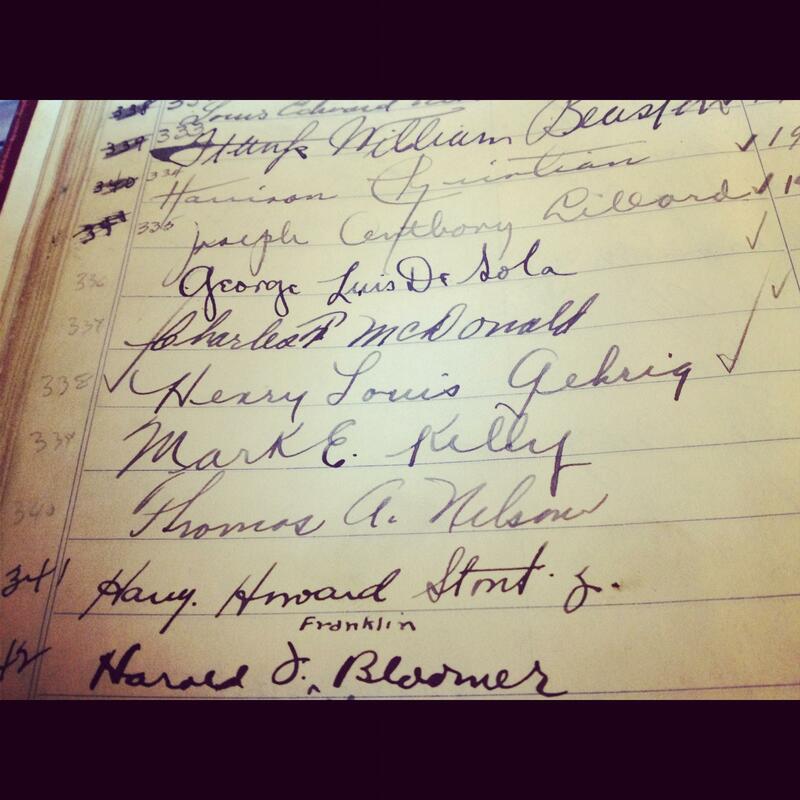 Many of you know my slight obsession with Lou Gehrig, so I definitely had a moment staring at his signature. With the running project starting next week, I decided to do one last run myself before I begin posting the runs of others. 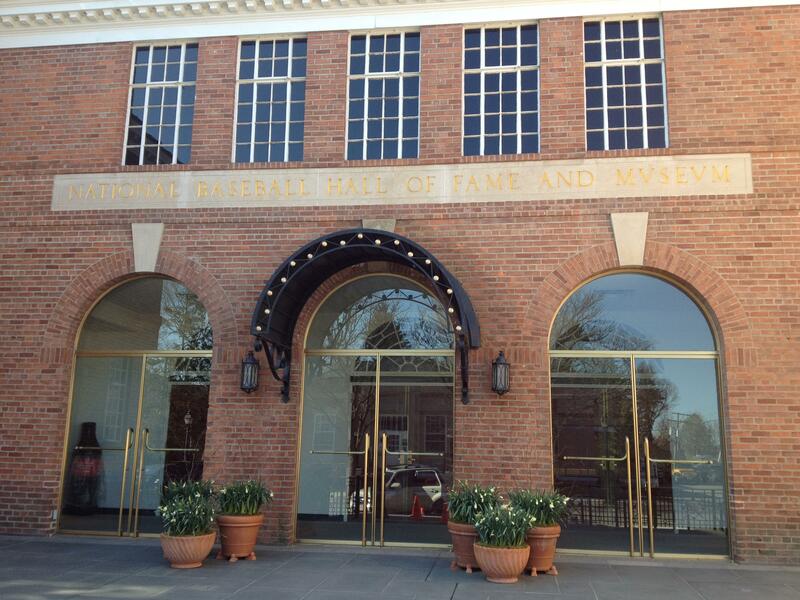 The next morning, I started my run on Main Street at the National Baseball Hall of Fame Museum, the cornerstone of the city. 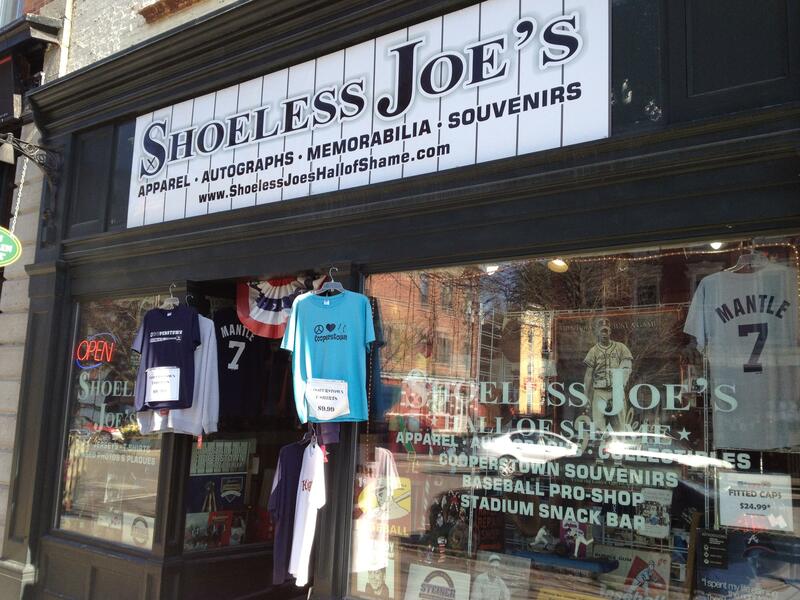 As I headed down Main Street, I had to stop to take a few pictures of a few of my favorite baseball-themed businesses. So great. 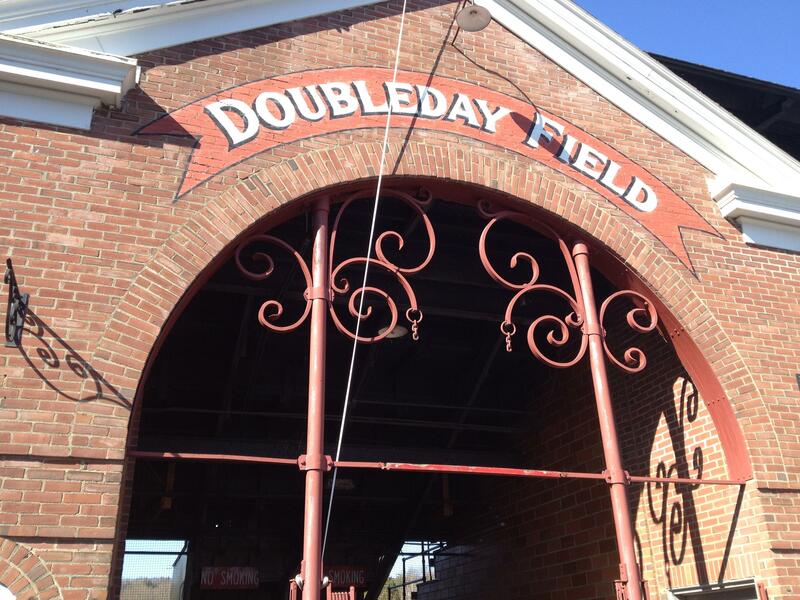 Next stop was Doubleday Field, the birthplace of the game of baseball. 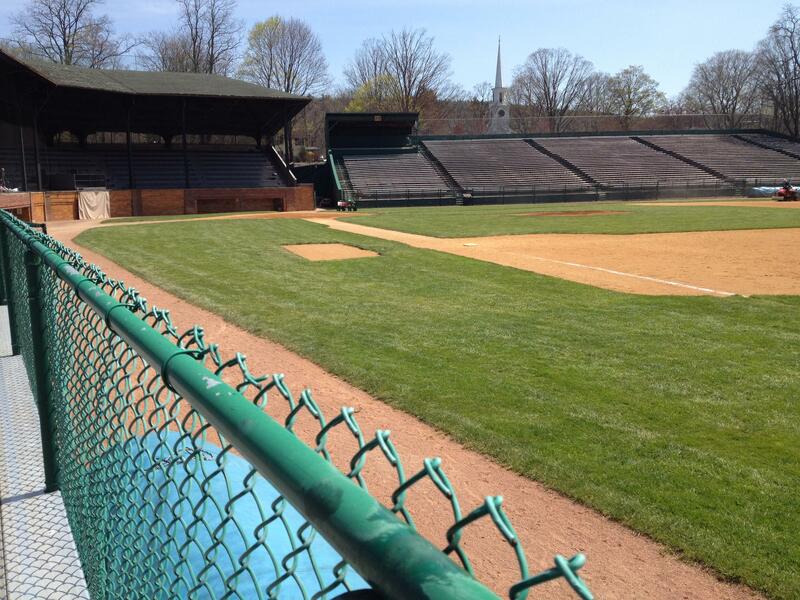 The neat thing about Doubleday Field is that there are always games going on. Teams travel from all over to play on this historic field. I grabbed a few shots and took off. My route for the morning was the 5K route that many Phi Delts would be running a few days later. My job for the weekend was to manage the 5K, so I wanted to know where I was going. I ran through the city and up and down a few rolling hills before I got back to the car. 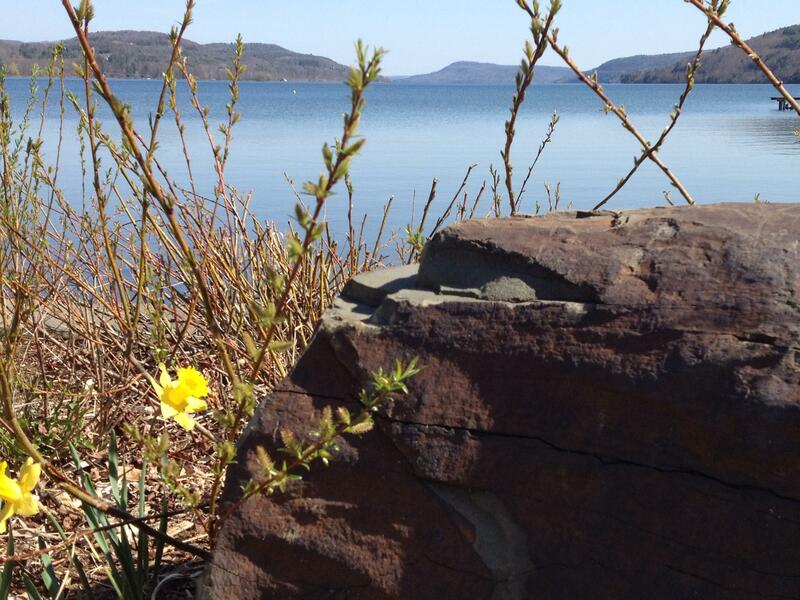 Cooperstown nestles up to the Otesego Lake, a lake that provides many an opportunity for a great picture. 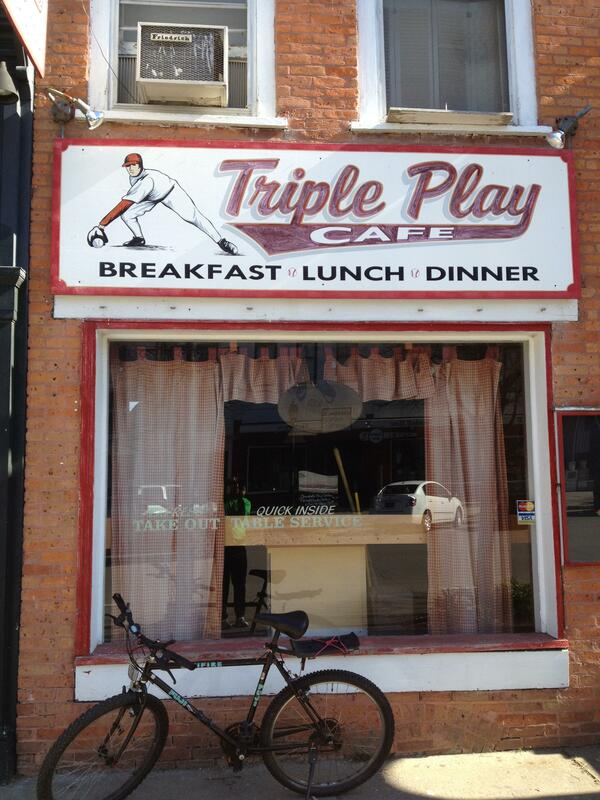 I headed back to the hotel, picked up Chris Lapple and we headed back downtown for a little breakfast. 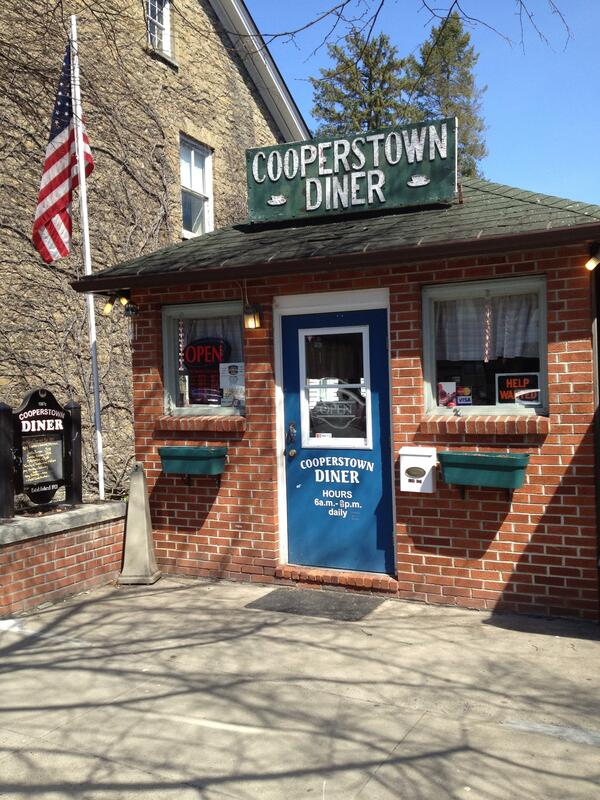 We came upon the Cooperstown Diner and felt like we had to eat there. After lunch we took care of a few things and checked into our next hotel for the weekend. 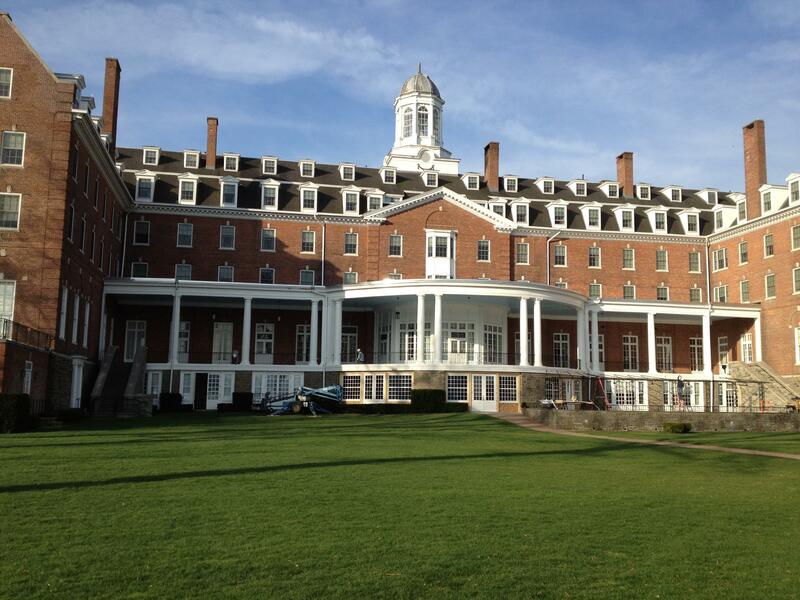 Talk about a great place, the Otesaga Resort Hotel. Wow. A few days later, I took my second run during the weekend, but this time I had company. 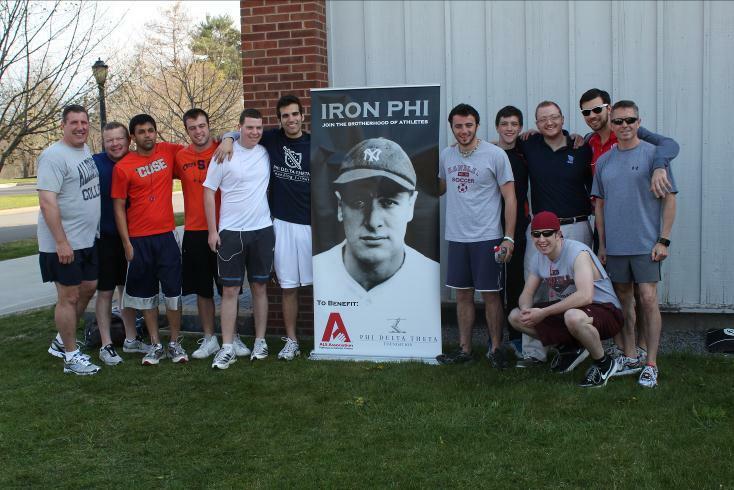 About 20 Phi Delts participated in our Iron Phi 5K through the city. About 15 undergraduate students from Syracuse made the trip down and did a great job helping to run the 5K. 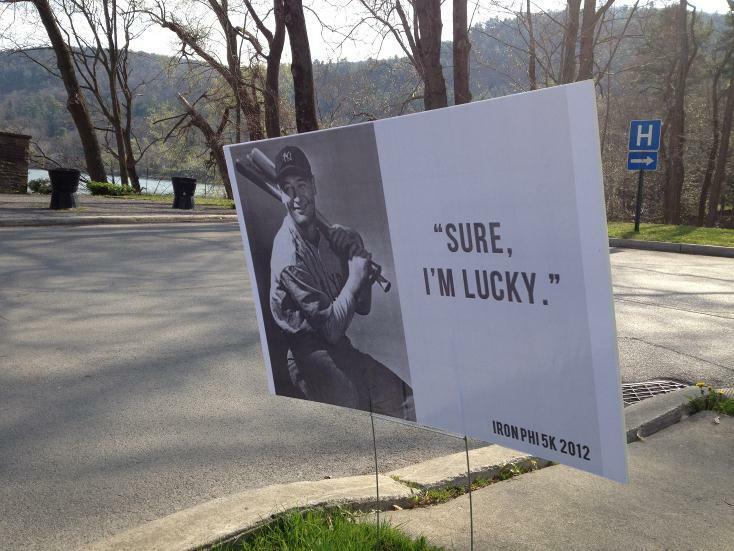 They had made signs to put along the course. Pretty cool, eh? The 5K had two packs, the fast guys trying to win the thing and us slow guys looking to enjoy the run. Upon crossing the finish line, we realized that we were the first guys to finish. Hmmmm. We quickly learned that the lead pack took a wrong turn at some point on the course – The true mark of a well-run 5K right? It provided for a great laugh. Luckily it was a fun run and there’s nothing wrong with a few extra calories burned. 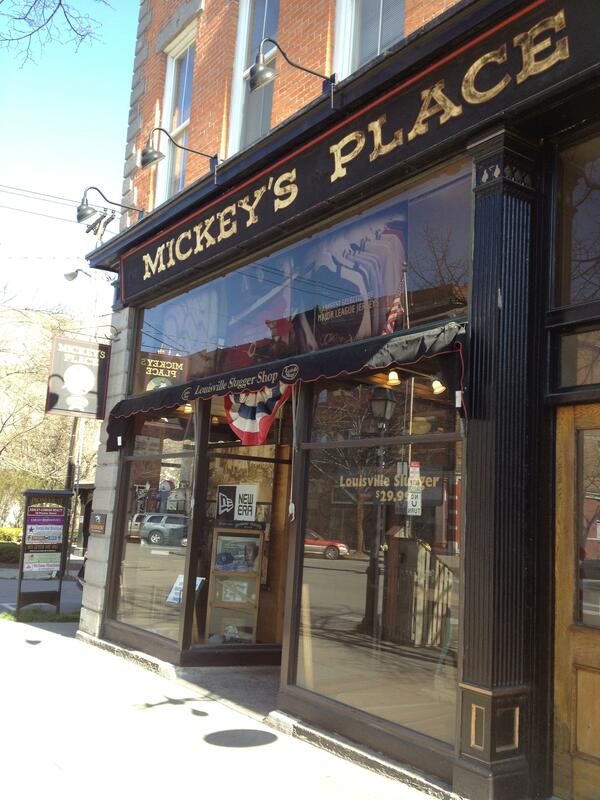 After the 5K, I had to make one more stop before returning to the hotel. 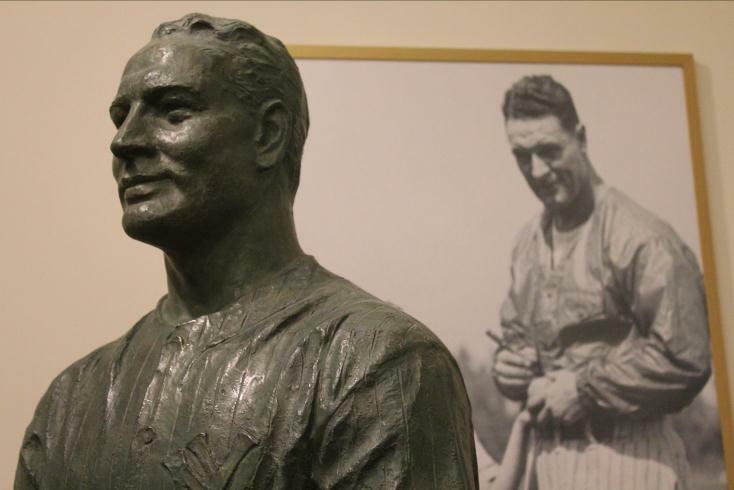 Upon arrival in Cooperstown, I realized that one of the more famous pieces of history from my hometown (Fort Dodge, Iowa) resided in Cooperstown at the Farmer’s Museum – The Cardiff Giant. The Cardiff Giant is on the list of most famous hoaxes in our country’s history. A few gentleman in New York hired men in Fort Dodge to carve out a 10-foot long block of gypsum (Fort Dodge has much gypsum) for what they said was to become a monument for Abraham Lincoln. The gypsum was carved into a giant, was buried in Cardiff, New York and the scammer (George Hull) dug it up, turned it into a publicity stunt, and sold tickets for the public to come see this “uncovered giant.” I think the story is awesome! I remember going to the Fort Museum as kid growing up in Fort Dodge and learning about the hoax. 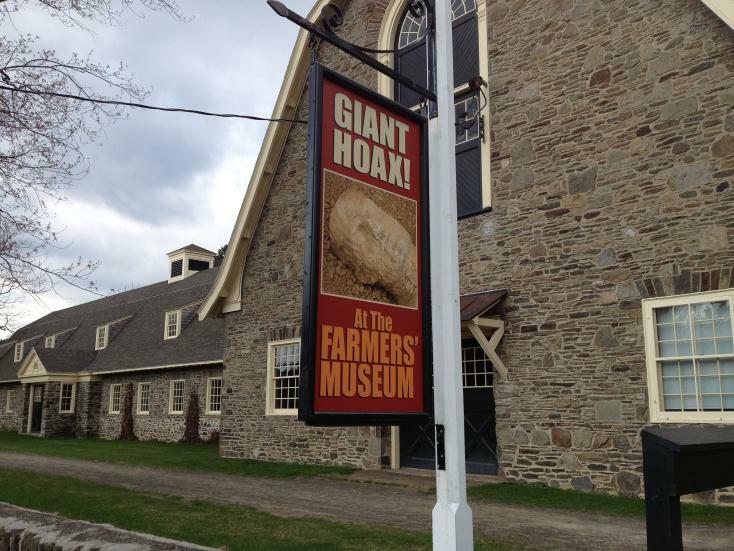 I had to drive out to the Farmer’s Museum to take a picture of the sign promoting the fact that the giant now rests there. During the weekend, Phi Delta Theta hosted a few events at the Hall of Fame, so it was very neat to be able to work with their staff to get things ready to roll. I was a kid in a candy shop throughout the weekend and snapped many pictures within the Hall of Fame. The weekend capped off with a gathering of Phi Delts at the Hall of Fame for a tour, program and dinner. 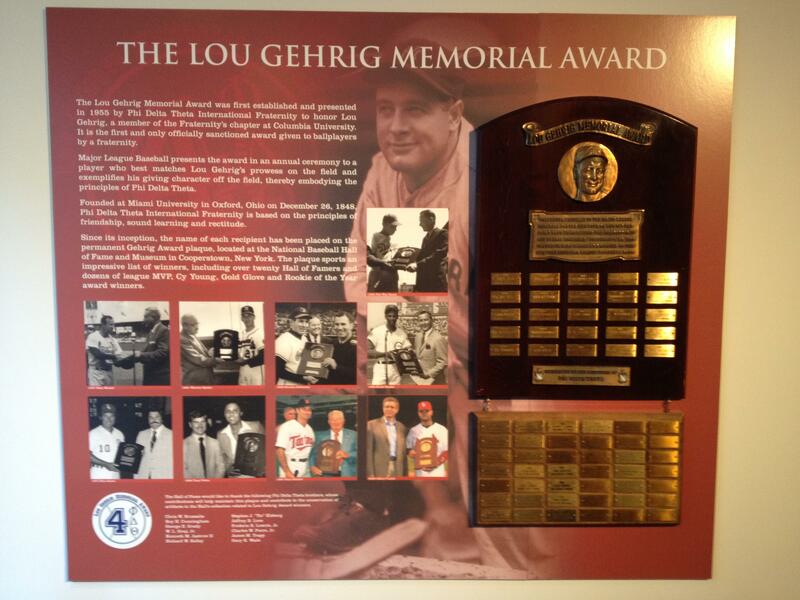 Here, we unveiled the enhanced Lou Gehrig Memorial Award that hangs on the walls of the Hall of Fame. It was a proud moment for all of us Phi Delts. As mentioned, next week begins the posts from my many runners involved in this project. I can’t tell you how excited I am.